Right, prepare for one of my famous statements. There are some seriously nuts people in this world, but without them our civilisation would stand still. Those people from the land of Unorthodox just wake up in the morning (I imagine) and they have ridiculous ideas in their heads. But instead of trying to cure themselves or seeking professional help, they put their best efforts in to make things happen the way they want. This is how things like electricity, antibiotics, paper, steam engine or game consoles were invented. But things like nuclear weapons, crack cocaine and white spirits also fall under this category, right? When a couple of weeks ago I met Donald Crawford, the creator of Square Barrel Whisky, i could not help but to wonder. Is this a nuke or penicillin? One thing I knew for sure. The guy had the mother of all the insane ideas. Donald bought a cask of Aultmore aged for 15 years in a American oak and finished the whisky for a year in… well… a cube of a sort. His cooper friend made a barrel, that looks just like the one on the picture, but is bigger and more serious of course. 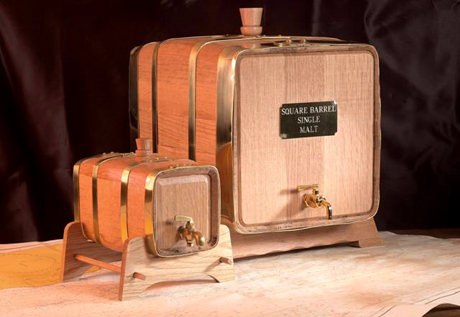 European oak staves were used to build this curiosity and as a result Donald ended up with surprisingly richly sherried Aultmore now proudly branded as Square Barrel Whisky. Now, if you paid attention in geometry classes, you know that a cube of the same volume as a cylinder gives more wood contact area. That’s one of the selling points. You will probably ask why not use quarter casks for extra wood contact? Don’t be such a square! Quarter casks are perfectly normal, only sane people use them. 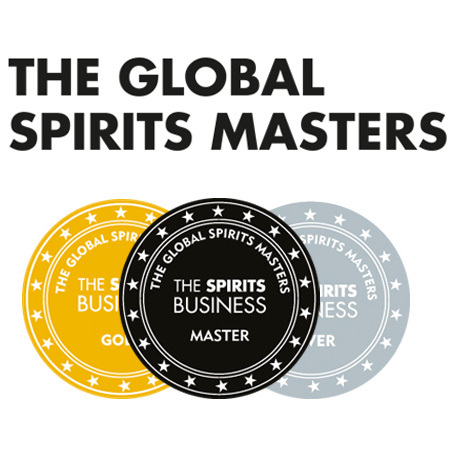 So far Donald has bottled only one square barrel of whisky and there is still plenty of stock available, so if you fancy grabbing one, go to his website, there is a £68 and a £33 option, depending on the packaging. 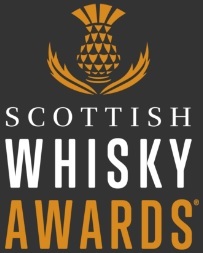 If you want to try it, you can grab one in some of the best whisky bars in Edinburgh, The Albanach, Teuchter’s, etc. This entry was posted	on Friday, August 28th, 2009 at 11:02 am	and is filed under Musings. You can follow any responses to this entry through the RSS 2.0 feed. Responses are currently closed, but you can trackback from your own site.